In accordance with the scriptures we want to be a Church that makes disciples, growing spiritually & in the knowledge of Jesus Christ and living Holy lives. 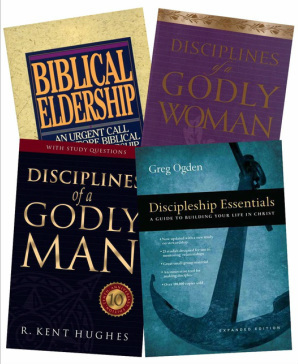 We have a number of groups in the church working through some biblical books including Discipleship Essentials, Disciplines of a Godly Man, Point Man, Disciplines of a Godly Woman, Biblical Eldership, Nine Marks of a Healthy Church and 20 Christian Beliefs. baptizing them in the name of the Father and of the Son and of the Holy Spirit, and teaching them to obey everything I have commanded you.